While we know high-intensity interval training (HIIT) is time-efficient and good for our health, researchers are still curious to determine if less active users are willing to do it. 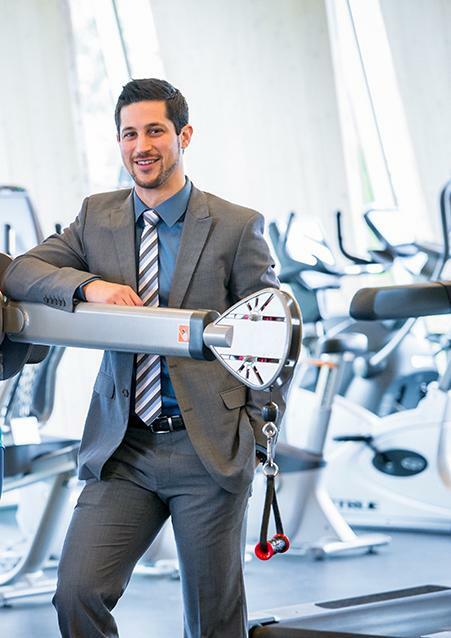 In fact, limited research has examined exactly how inactive people perceive HIIT–which consists of multiple short bouts of intense exercise, says Matthew Stork, a PhD candidate in the school of Health and Exercise Sciences at UBC's Okanagan campus. Stork recently completed a study comparing inactive people's feelings and enjoyment of HIIT to traditional long-duration aerobic exercise. He found that inactive people who tried the high intensity exercise for the first time found it just as enjoyable as traditional exercise. "The number one cited barrier to physical activity is a perceived lack of time, and research has shown that as little as 10 minutes of HIIT, three times per week can elicit meaningful health benefits," says Stork. "The concern is that short bursts of intense exercise may be perceived as unpleasant, especially for those who aren't physically active to begin with." Stork wanted to know how people felt about their high intensity exercise experience both during and after their sessions. He also hoped to determine whether feelings, ranging from pleasure to displeasure, during a HIIT session could predict the likelihood of completing the same exercise outside of the lab. "We wanted to learn more about people's perceptions towards HIIT and ultimately determine if even inactive people are willing to do these types of exercises on their own free time," says Stork. "There's research evidence showing that negative feelings experienced during traditional forms of exercise, like going for a long run, can lower your likelihood of completing that exercise again in the future. We anticipated the same would be true for HIIT, but as it turns out, it's not so simple." To test his idea, Stork and his team recruited 30 inactive men and women who had never tried HIIT before. Each participant completed high intensity and traditional moderate intensity exercise on a stationary bike in the lab. They measured how the participants felt on a multi-point pleasure-displeasure scale throughout the activity. Each participant was also asked to log any exercise they completed on their own during the following four weeks. "We found that participants reported equal levels of enjoyment and preferences for HIIT in comparison to traditional exercise, despite experiencing feelings of displeasure during the higher intensity exercise," says Stork. "Importantly, 79 per cent of participants reported completing HIIT on their own, outside of the lab." Stork says his study should give hope to those who struggle to fit exercise into their busy lives. "Many people want to give up on exercise because they don't feel that they have enough time. However, HIIT may be a viable, time-efficient exercise option, even for inactive people who have never tried it before." Stork's study was recently published in Medicine & Science in Sports & Exercise with funding from the North American Society for the Psychology of Sport and Physical Activity.